You may or may not have heard of JoJo Siwa, I confess to not having heard of her, that said at my age (61) I don't keep up too much with TV or what the youngsters are into. When I spoke to my girls they were hysterical at the thought that I didn't know the girl with *BOWS* from the TV show Dance Moms, so obviously I had to do do some research as I hate being out of the loop. All I can say is WOW this little one is a cult phenomenon and actually I can see why, she has the most infectious personality and I can see why all the girls ages 8-14 would want to be her bestie. Here is a brief rundown of what this little star has achieved so far. She was just 12 years old when she won a nations heart with her over-sized hair bows and bagful of talent on the TV show Dance Moms. Fast forward a few years and JoJo Siwa has become one of the biggest Internet sensations, with her YouTube Vlog channel regularly reaching a mere 90million + views, and has an army of followers worldwide. At just 14 years old she’s a singer, dancer, actress and entrepreneur with a complete range of Jo Jo merchandise and many awards to her name. She won the Kids Choice Award for 2017 and was named Digital Star for the year alongside Kim Kardashian and Patrick Starr – and it seems there is just no stopping her! I recently read a blog post from Countryheartandhome where her girls were addicted to JoJo and were discovering merchandise. 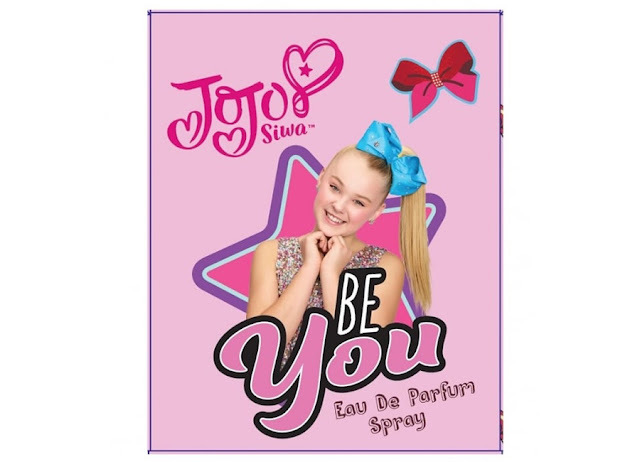 When I was offered the perfume to try out, I got in touch with my youngest Granddaughter Mya (15) who knew everything there was to know about Jo Jo and said a quick "yes please" let me just say, this kid is fussy, her perfume range includes designers such as Mark Jacobs. Also I can 100% rely on Mya to tell it like it is! First impression was that she loved the bottle, and of course it's pink! on spritzing found the fragrance really sweet and not an instant hit, however within moments it settled down to a gorgeous delicate floral which dare I say is slightly sophisticated. I can totally see this fragrance being "borrowed" by Mums. Clean and fresh with a definite girlie vibe this has become a firm favourite. I love how young girls nowadays are their own people. When I was young there was not a chance of having your own fragrance until you were old enough to buy Charlie, and no way was my Mum dabbing me with Je Riviens Evening in Paris lol. All in all I would call this a winner, I am now down with the kids, Mya is happy and smelling fabulous and I have been able to share this with you for daughters and granddaughters.